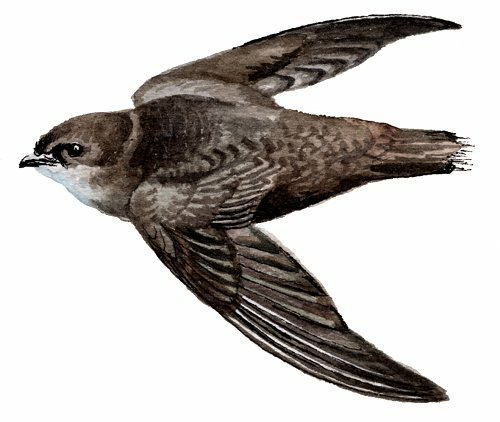 GigaDB Dataset - DOI 10.5524/101005 - Genomic data of the Chimney Swift (Chaetura pelagica). Genomic data of the Chimney Swift (Chaetura pelagica). The Chimney Swift (Chaetura pelagica (Linnaeus, 1758)) is a bird belonging to the swift family Apodidae. Like their namesake, swifts are among the fastest flying birds. The Chimney swift is often described as a sociable species, seldom seen alone. These data have been produced as part of the G10K and Avian Phylogenomics Projects. DNA was collected from a vouchered tissue sample (B-21727) from the Louisiana State University Museum, of a female caught in Cameron Parish, Louisiana. We sequenced the genome to a depth of approximately 103X with short reads from a series of libraries with various insert sizes (170bp, 500bp, 800bp, 2kb, 5kb, 10kb and 20kb). The assembled scaffolds of high quality sequences total 1.1Gb, with the contig and scaffold N50 values of 27 kb and 3.8Mb respectively. We identified 15,373 protein-coding genes with a mean length of 19.8kb.